The following procedure is used to send cash request to concerned Cash Office or Head Post Office. Enter T-code ZFFV50 in SAP module. Below window will appear. The system will take debit and credit GL codes automatically. Click on SAVE button. Now, the Postmaster (SPM) has to release this request. 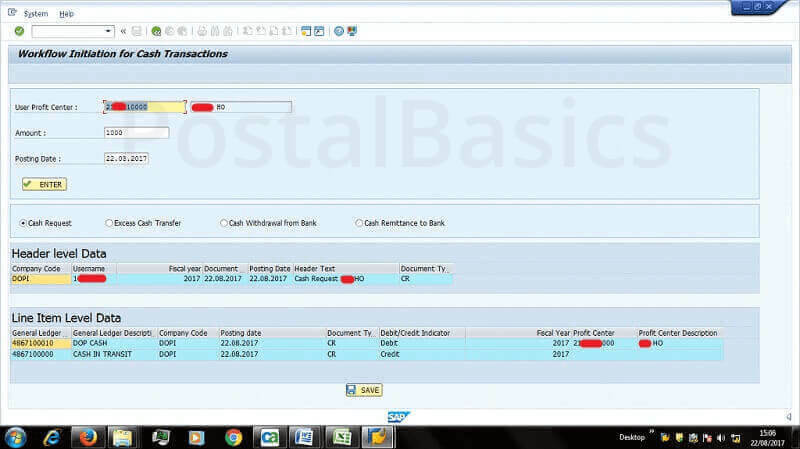 In the SAP main screen, click on Business Work Place (3rd icon at the top) » Inbox (supervisor inbox) » Work Flow » Click on a message as Release cash request from x office » Click on Release button » Type some text in the message box. 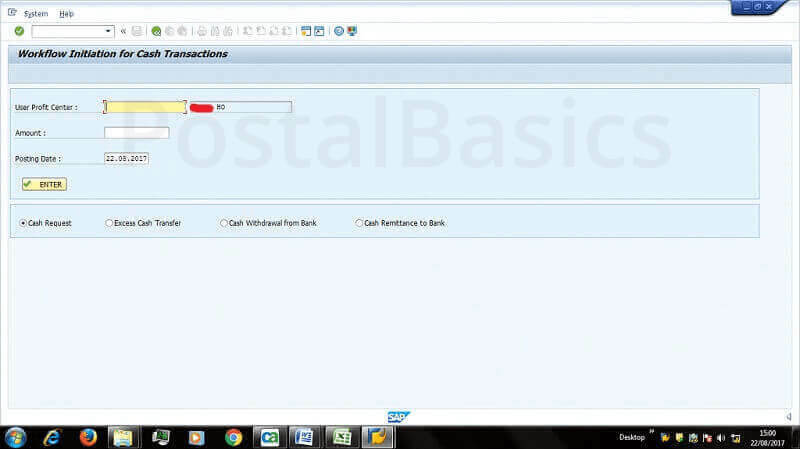 This is how you can send cash request message through the system. The message will directly go to your concerned cash office. Further process will be carried out at HO/cash office.